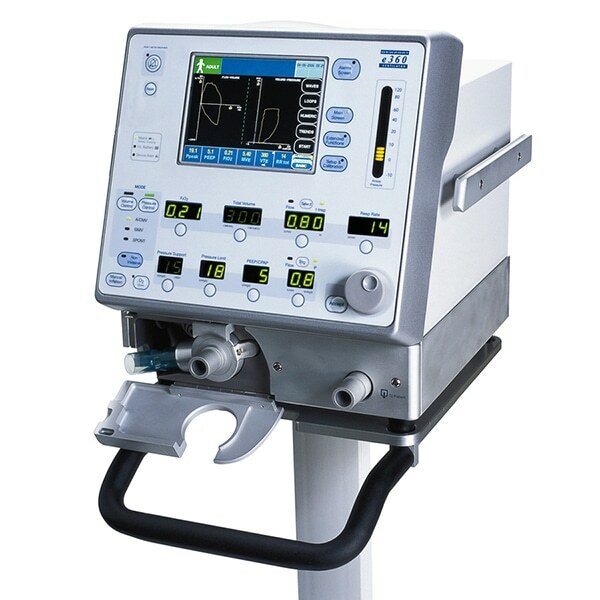 With its compact size, comprehensive features and low cost of ownership, the Newport™ e360 ventilator is ideal for today's hospital and long-term care facilities. It offers a full spectrum of features for maximum flexibility, including FlexCycle, our patented, automated feature that actively manages cycling-off timing, breath by breath. From infant to adult, the Newport e360 ventilator includes comprehensive mode selections, with graphics and extensive monitoring built into a single compact package that can easily transition from invasive to noninvasive ventilation. And with its intuitive user interface, this ventilator makes sophisticated technology truly simple to use. The Newport e360 ventilator is available in a number of model configurations to best suit your needs.